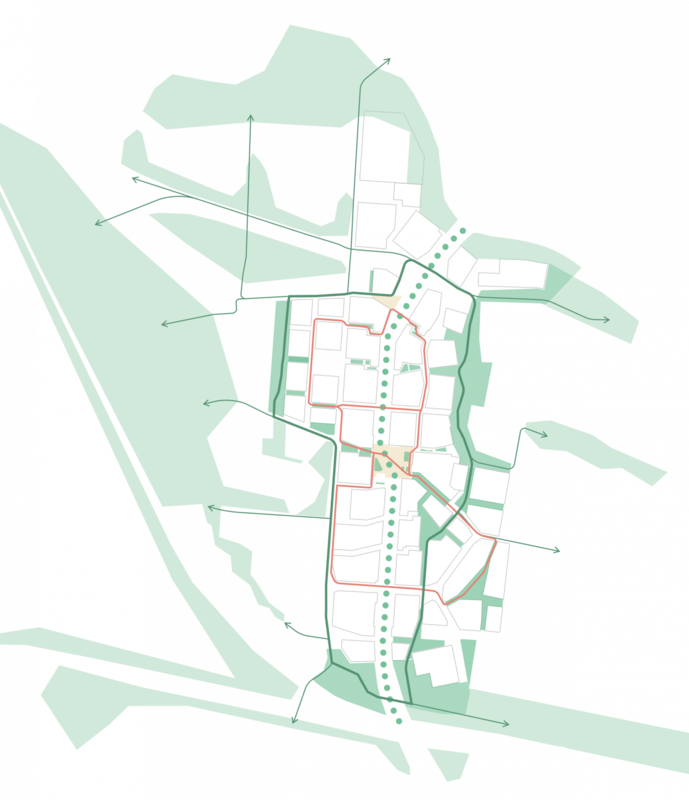 Boulevardisation will comletely transform the Kemintie highway. 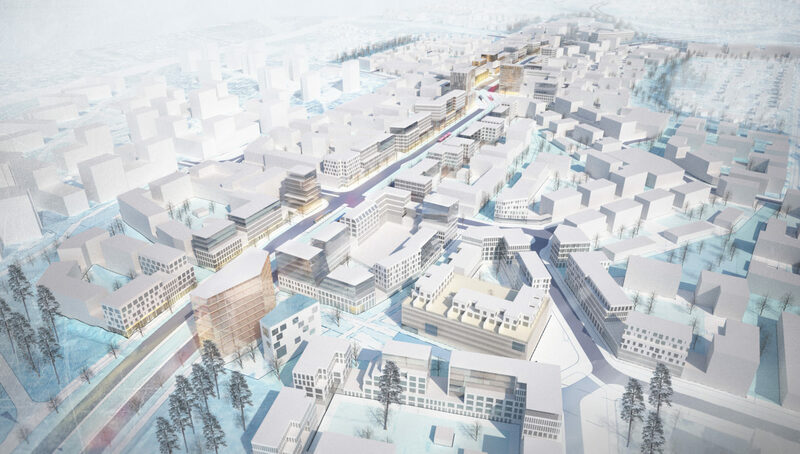 Our brief was to propose a basis for the urban regeneration of the Kemintie highway in the northern Finnish city of Oulu. 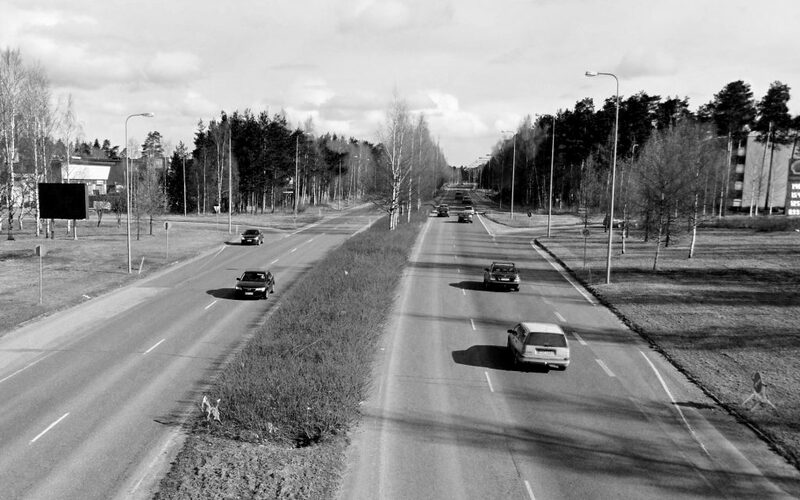 At present the site is a dual carriageway with interchanges and a speed limit of 60 kph. 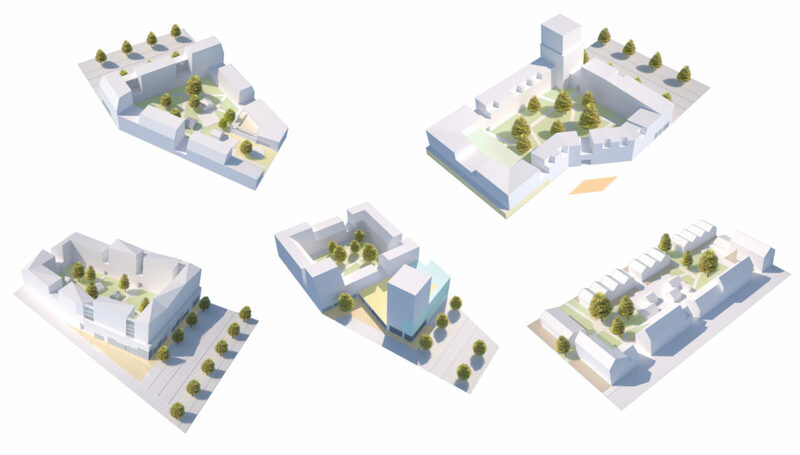 Interactive client and resident-based collaboration produced a number of preliminary block archetypes. Local inhabitants and user groups were given an opportunity to influence draft schemes, promoting a better understanding of their future environment. 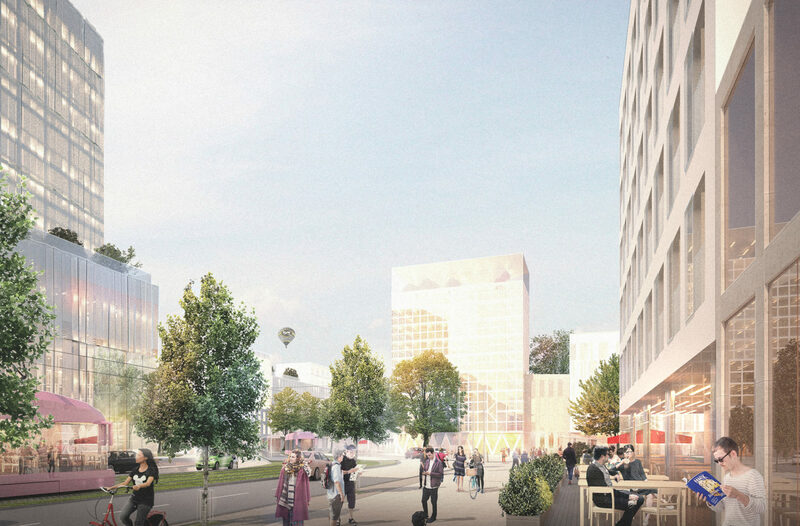 Ideas were embodied into three alternative draft proposals. The optimal characteristics of each draft were discussed with the client in a workshop and integrated into the final design. Kemintie will be partly re-routed. The present long straight section will be removed to reduce traffic speeds and create variation in the streetscape. 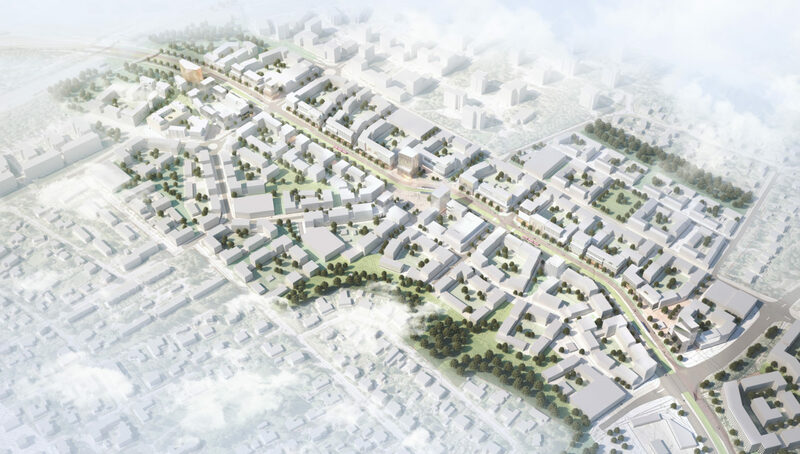 The new urban fabric will help to unify existing residential areas. 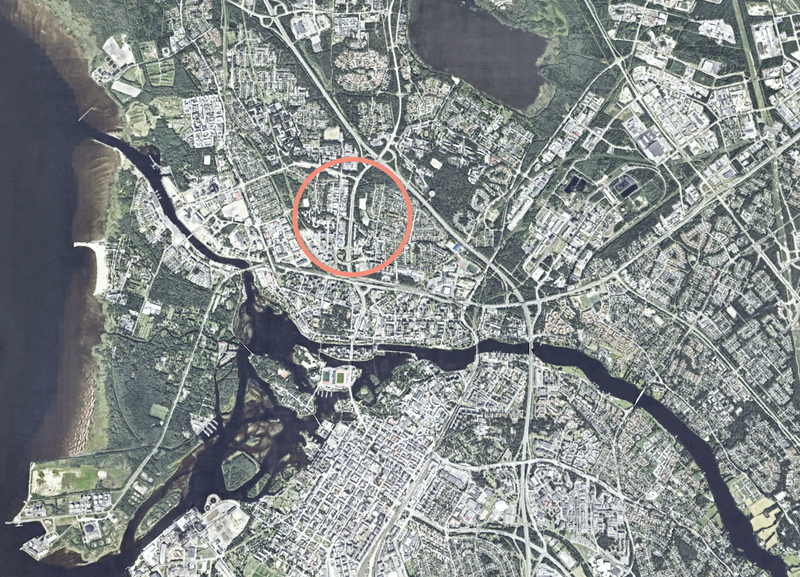 The area will consist of seven neighbourhoods, slightly differing in urban structure. 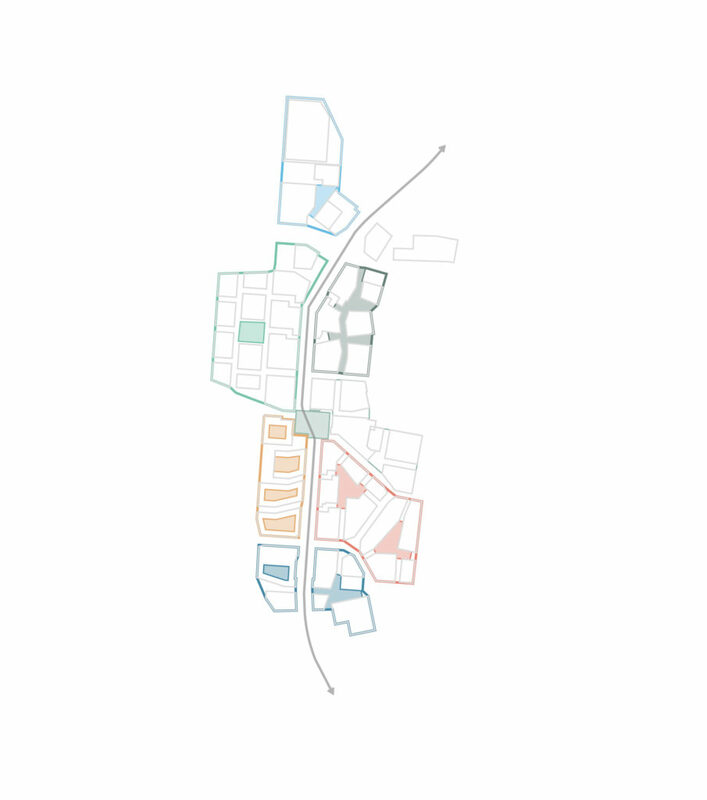 Each will have a recreational area or square at its heart. 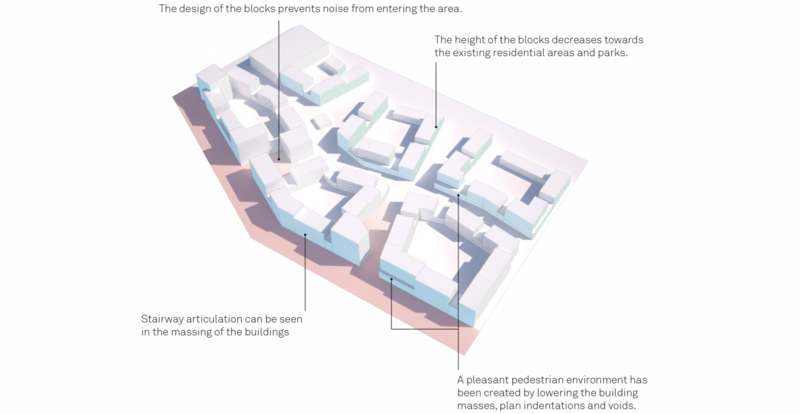 Existing neighbourhood parks will be developed into functional oases serving the whole area. 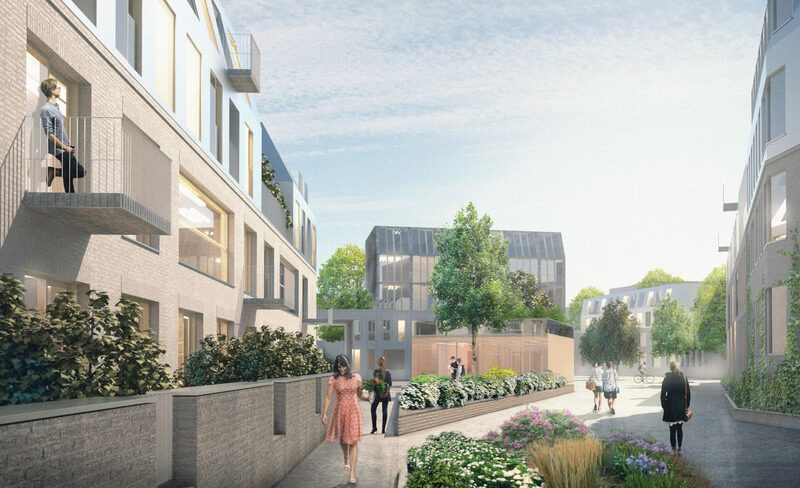 Small public pockets of greenery between the blocks link adjacent neighbourhoods together. A number of new meandering routes have been created, threading their way along peaceful pathways through green areas, pocket gardens and squares to enliven the inhabitants’ daily experience. 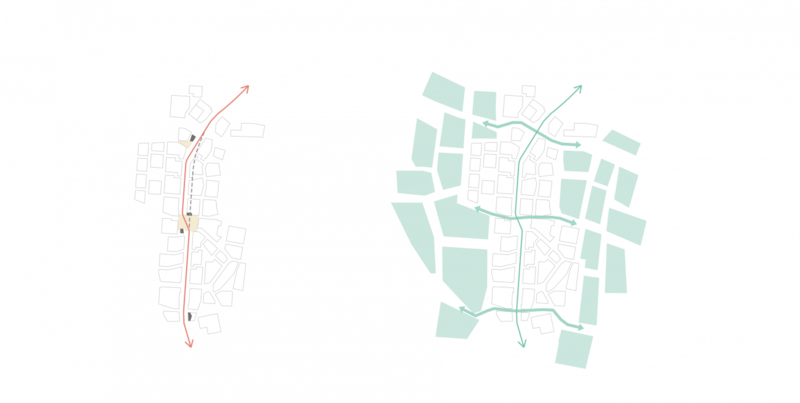 Noise suppression, variation in scale and a local feel for each neighbourhood guided the detailed design of the block structure. 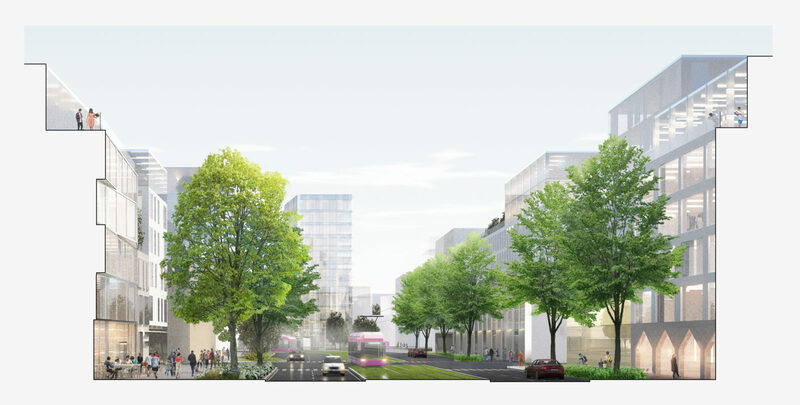 The district plan creates a bold but practicable vision that points the way to the future in urban development.